Can you imagine your child's face when they see their favorite fairy tale character walk into the room to surprise them on their special day?! The character will arrive in costume with all supplies needed and ready to go! She will interact with all child guests and can take photos with everyone, play games, do face painting and more! Currently only offering appearances with Cinderella or The Little Mermaid in Ramona, California. *Please inquire with your exact party location and preferred party date to determine our availability! So happy I chose Fairytale Friends of San Antonio! 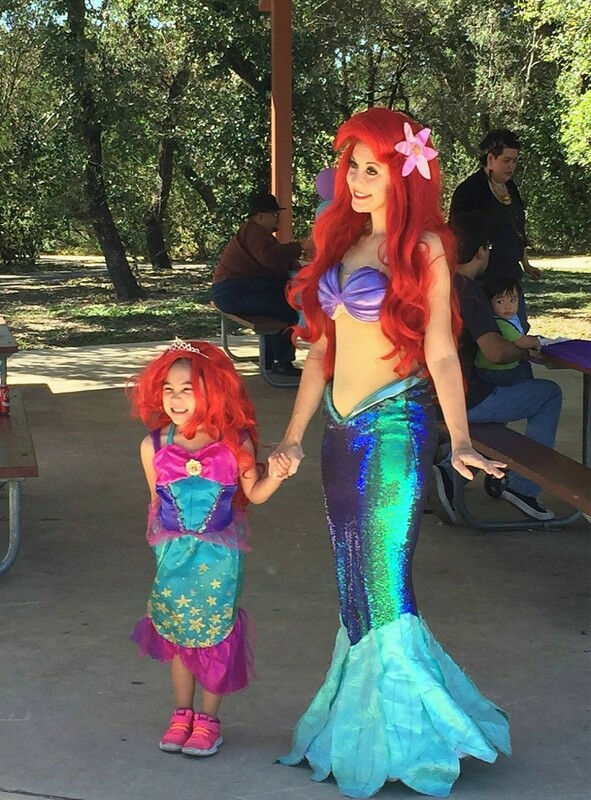 After months of planning and looking into several different party character vendors, I chose to go with the ladies of Fairytale Friends of San Antonio for my daughter's 6th birthday party. I liked what they had to offer and they looked professional and beautiful, I knew my daughter would love them. Anyone who knows me knows I go all out for birthday parties and am very detail-oriented. I knew my daughter would be as well, as she is a very intelligent and sassy little girl. Right when Elsa and Anna walked into the room my daughter's jaw dropped to the floor and she was speechless. I am so glad we got that on video! She ran over to both of them and would not let go for about 5 minutes, we just about had to pry her away, she was so surprised and convinced they were the real characters from Arendell. We had a big mix of ages among the children at our party plus some boys and they were also convinced and they all absolutely loved all of the party games and face painting. It was a truly entertaining party they did for us and I could not imagine having had a more wonderful experience. Everything was perfect and was worth more than what we paid. We smiled, we laughed, we cried, and just truly had an amazing time! 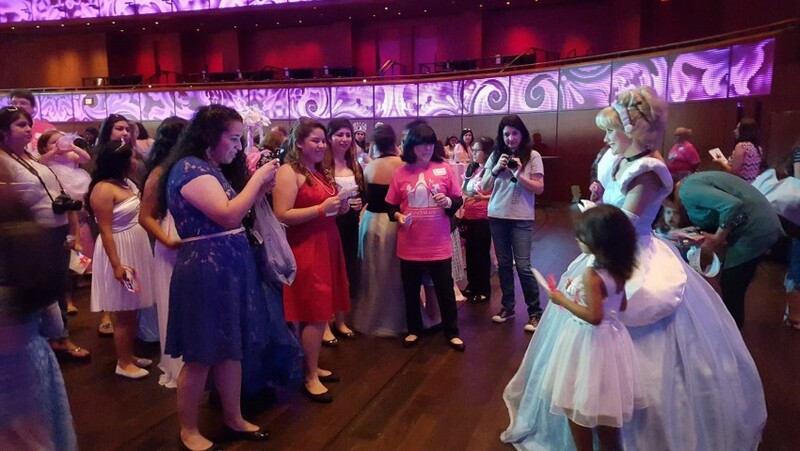 I believe all of our guests probably took at least 100 pictures with the characters, as the adults were very eager to all get selfies with the Queen and Princess as well. Thank you all for a very unforgettable experience, I know who we will be coming to when we have Cinderella and Belle for our other daughter's 3rd birthday party! P.S. I will be sending you some photos via email when I get them in and will be sending the performers a tip via PayPal. Thank you again! Price Range: $125. - $300. 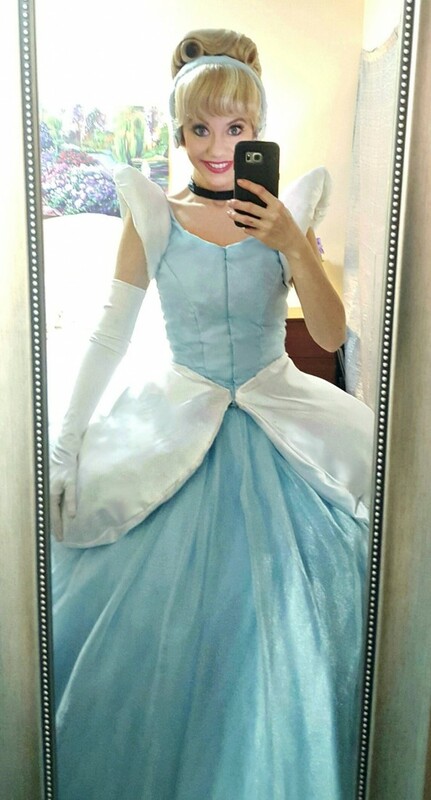 The princess/character will arrive in costume and ready to entertain. We bring all supplies needed for our appearances including music and small party favor prizes for our 1 hour and 1.5 hour party packages. Please sit back and enjoy our routine activities and take all the photos you'd like! Hello! My name is Tara and I have over 7 years experience as a princess entertainer! I am currently offering appearances as Cinderella or The Little Mermaid in Ramona, California. *Face painting can be added.